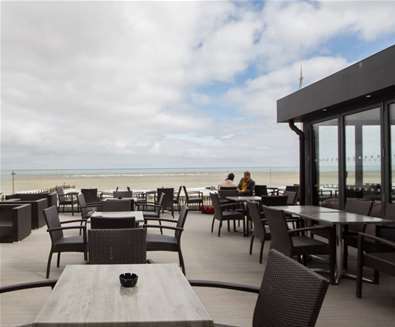 The Brudenell is a beachfront hotel which exudes beach chic; with an informal, relaxed atmosphere, you can enjoy a stay in one of the many rooms which offer a sea view or a view of the surrounding countryside and River Alde. The seafood restaurant offers al fresco dining, so you can listen to the waves crash whilst enjoying the catch of the day. There's an impressive gin menu on offer in the bar too; the perfect way to end a day of exploring and paddling in the sea! 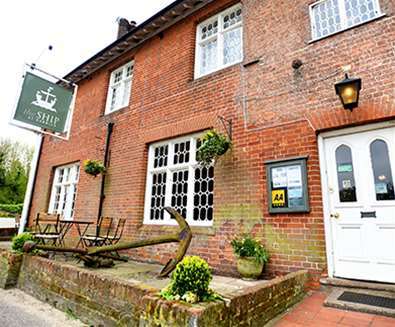 A beer garden with sea views, complete with a 300-year-old fig tree and cosy rooms are on offer at The Ship at Dunwich. 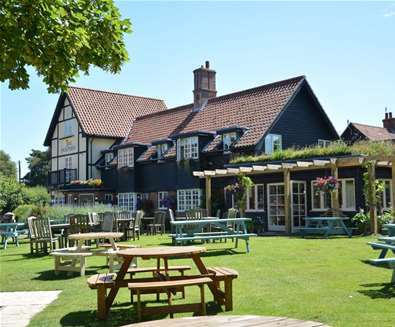 The hotel is just a stone's throw from the beach, and sits within an Area of Outstanding Natural Beauty, with the National Trust's Dunwich Heath right on the doorstep. The restaurant serves delicious meals made with locally sourced produce and a range of local ales are available in the bar. Dogs are welcome in the hotel too and will love an early morning walk along the beach to start the day. 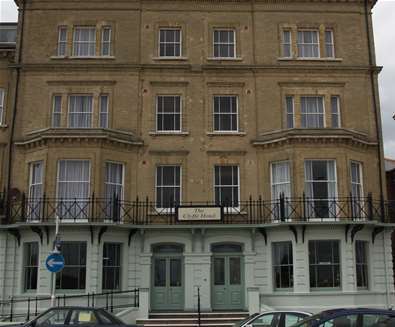 Located opposite the award-winning beach in Lowestoft, The Clyffe Hotel Boutique Bed & Breakfast is a grand Victorian building with panoramic views of the golden sands and sea. Each of the 16 rooms have been individually designed, creating soothing and comfortable spaces, furnished with crisp white linens, fluffy towels and eclectic furniture. 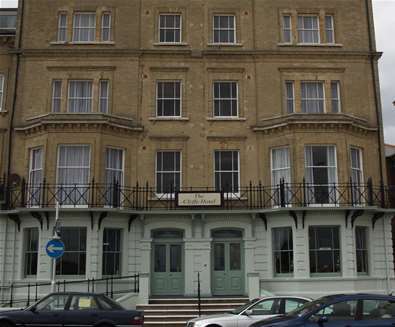 The hotel is ideally situated for a beach holiday, close to the pier and just a short walk from the coastal villages of Pakefield and Kirkley. 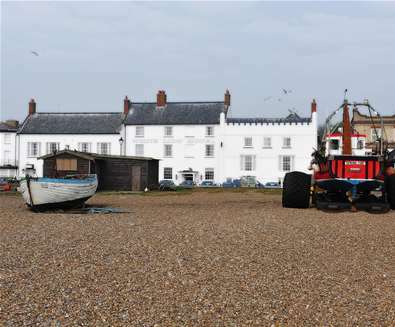 Owned by the same family for nearly 100 years, you can sit and watch the boats sail by at The Wentworth Hotel in Aldeburgh. Sleep soundly within a stone's throw of the sea, relax in spacious lounges or terrace gardens and enjoy delicious, locally sourced food in the restaurant or bar. Each of the bedrooms is individually designed using distinctive fabrics, wallpapers and furnishings. Many of the rooms have views of the sea and some have their own lounge areas. 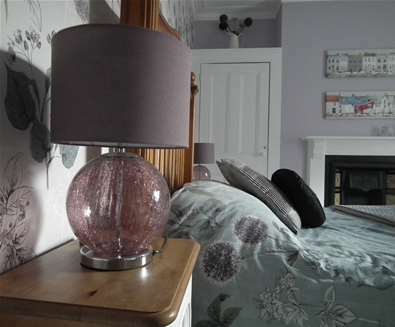 A 2-minute walk from the glorious golden sands of Lowestoft beach, Chiltern House Bed and Breakfast is a Victorian property with 4 bedrooms, each with an ensuite. 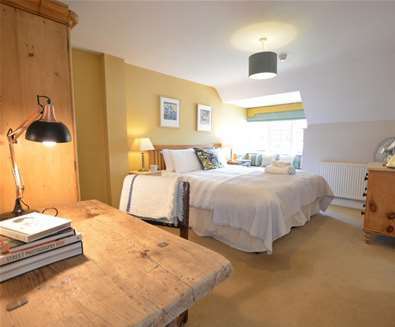 Oozing character and charm, there are sea views on offer, as well as a warm welcome from the owners Bob and Sally. 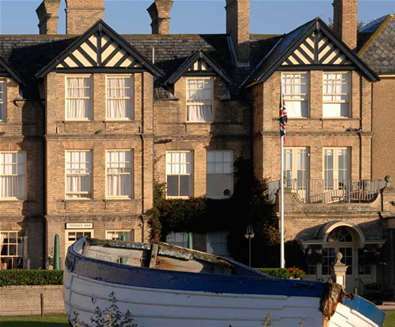 It's not a hotel but the quality of service and rooms sing out making a great place for a holiday on the Suffolk coast! 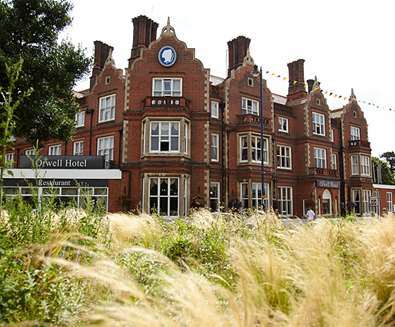 The contemporary-styled Hatfield Hotel is located right on the promenade at Lowestoft, so you are literally a stone's throw from the sea! After falling asleep to the sound of crashing waves and a good night's sleep in one of the rooms which offer sea views. For breakfast head to the Terrace Bar, where you can dine indoors or opt to sit out on the patio area to enjoy the sunshine whilst you enjoy a pot of tea and full English breakfast. 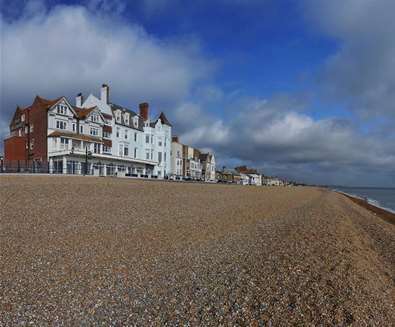 A cosy hotel overlooking the beach at Aldeburgh, The White Lion offers a number of rooms with views of the sea, beach huts and shingle beach. The contemporary-style rooms have been inspired by the hotel's seafront location and include comfy beds with crisp cotton sheets and bathrobes for you to relax in. 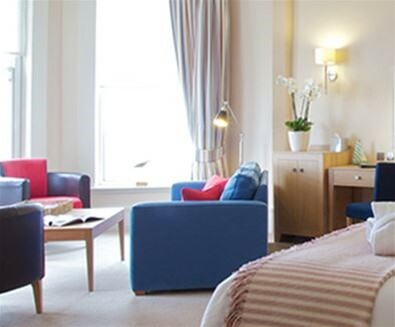 Your stay includes breakfast in the hotel's restaurant Brasserie Bleue; choose from a cooked breakfast of 'The Lion's Share' traditional English Breakfast, Eggs Benedict, smoked kippers, milk-poached smoked haddock, smoked salmon and scrambled eggs or crepes. Or opt for a Continental Breakfast of croissants, fruit salad, porridge oats and prunes. 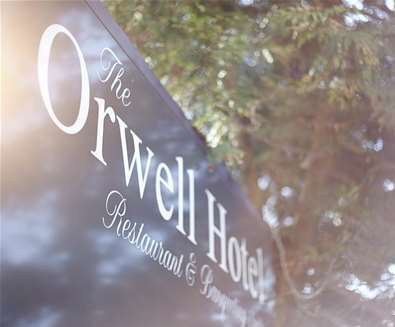 First opened in 1898, The Orwell Hotel is a well-known landmark centrally located in Felixstowe and within easy walking distance of the railway station, town centre and seafront. 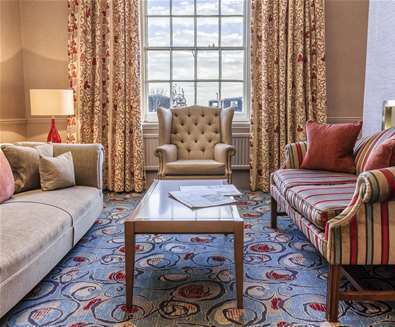 There are 60 bedrooms and 2 restaurants; The hotel's flagship restaurant The Westerfield and The Buttery. There's a pleasant garden to relax in during the warmer months, plus plenty of places inside to read the paper with a pot of tea or catch up with a friend over tea and cake. 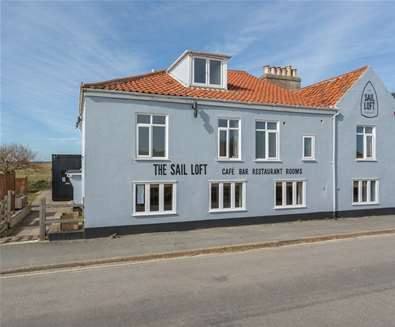 Situated on a quiet road, just a stone's throw from Southwold beach, The Sail Loft offers four spacious, smart bedrooms and a relaxed café-bar-restaurant. 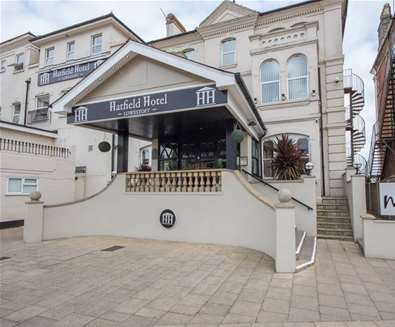 You're close to the harbour and just a short walk from the bustling High Street. 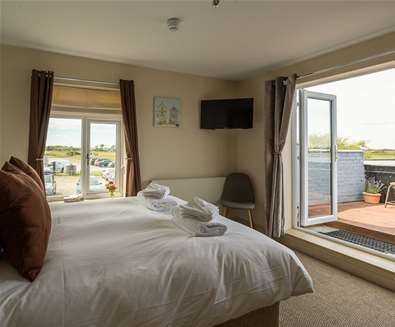 The four bedrooms all boast fantastic views of the marshes or sea; with the double ensuite bedroom featuring your own terrace, and the superior en-suite offering a roll-top bath with views of the dunes and sea!! After a night's sleep listening to the waves, head to the restaurant for breakfast, and then set off for a walk along the beach. The restaurant is open in the evenings also, for meals and drinks - perfect for a remote getaway by the sea! There are three double en-suite rooms, each with flat screen televisions, digital radio alarm clocks and free access to wireless broadband. Two of the upgraded bathrooms include a rain style shower over the bath! In the morning, after a restful sleep, get your day off to a great start with their delicious breakfasts; made using the best local, homemade produce before heading out for a walk around the Meare and along the beach.